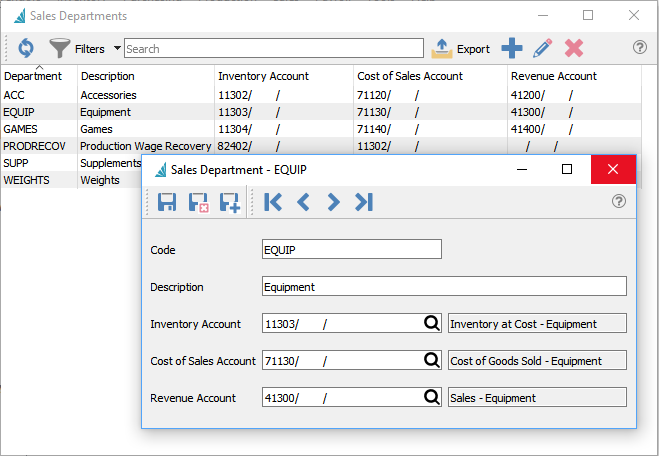 Used to define the sales, cost of sales and inventory GL accounts for each sales department. Then a sales department gets assigned to each inventory item. If a sales department is not added to the inventory item department, 0 gets used. *Note : This is no longer limited to being a numeric 1-200. If using numeric codes currently, the user can edit them to a meaningful alpha numeric code.